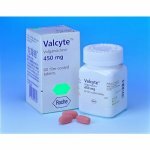 It's been almost exactly 5 years since I last posted about my experiences with taking Valcyte for my ME/CFS. During that time, I've done well, for the most part, and learned a bunch about the necessity of pacing to prevent additional decline. Despite my best efforts, I'm heading back down the rabbit hole with the ME/CFS and am having a very difficult time doing anything productive - including my 30/hr a week job. My wife an I decided that I should restart the Valcyte for a time - uncertain the exact duration - and see if a third round will get me through until something more definitive comes around (Cortene maybe?). I have an appointment with my new Primary Physician (whom I've met once, but thought she was likely to help) on March 11th for an "Annual Physical". During that appointment, I'm hoping to ask and receive a script for the Valcyte (which has come down in price as a generic nicely since I last did this...). Will be updating this blog again (and hopefully more frequently than last time - the entries were actually really helpful for preparing this time) as things progress. If anyone has questions about anything related, feel free to write in the comments and I'll respond as soon as I'm able (sorry to those I missed at the end last time!). Always interesting to read about ME/CFS patients improving on antivirals. Can I ask, when you took Valcyte the first time (which you took daily for 2 years I understand), where were you on the ME/CFS scale of very severe, severe, moderate, mild, remission before you started the Valcyte treatment, and where did you climb up to on that scale after the 2 years of treatment? How many 450 mg Valcyte tablets were you taking daily during that 2 year period, by the way? I've taken Valcyte twice. The first was for 6 months back in 2008-9. That was very helpful, but I haven't transcribed the dictations I made back then, so don't really have any details to share from that time. The second time I took Valcyte was for 2 years and was moderate with new onset of POTS. I wasn't able to sit upright in a chair for any length of time and ended up being let go from my job as I couldn't complete my tasks. At the end of that 2 years, I had returned to a mild where I could work a moderately physically demanding job, but not a full 40 hour work week. good luck with the new doc; i hope the visit goes well! Thank you, delphis! I’m amazingly nervous as I’ve only met this doc once before, but she seemed receptive to learning more about the disease. This morning, I have an appointment with a new cardiologist - another new doc to break ground with... Whee! !